Remarketing Lists for Search Ads (RLSA) is a common practice among search marketers and businesses around the world. They tend to use this technique, which basically means remarketing through the use of searches, to further boost the visibility of the products they are trying to draw attention to. This is an effective way to ensure that people that you might have missed in your first run, could probably love the product that you are trying to spread awareness about, can be marketed to again without having to put any extra effort into the process. It is like applying a second coat of paint in the way in that ensures that you leave no stone unturned. 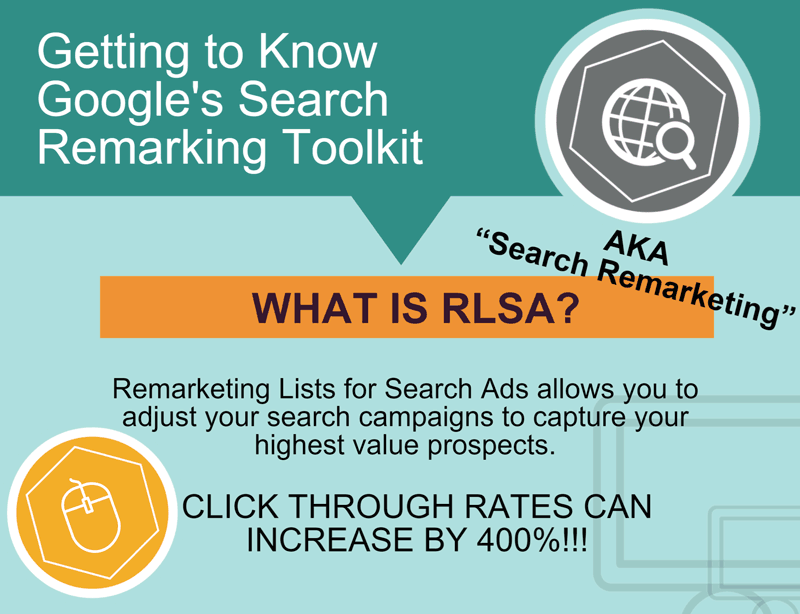 Google’s RLSA toolkit is purported to make the remarketing process easy as pie. However, what exactly is in the toolkit, and how does it help? Google tends to know what it is doing in this department but before you dive headfirst into search remarketing you need to know what you are getting into. The team at WebMarketingGroup has created the infographic below to help you with this very endeavor, enabling you to start using the toolkit after having been fully informed about its benefits.